Optimization in 2016: Why Do We Need SEO? 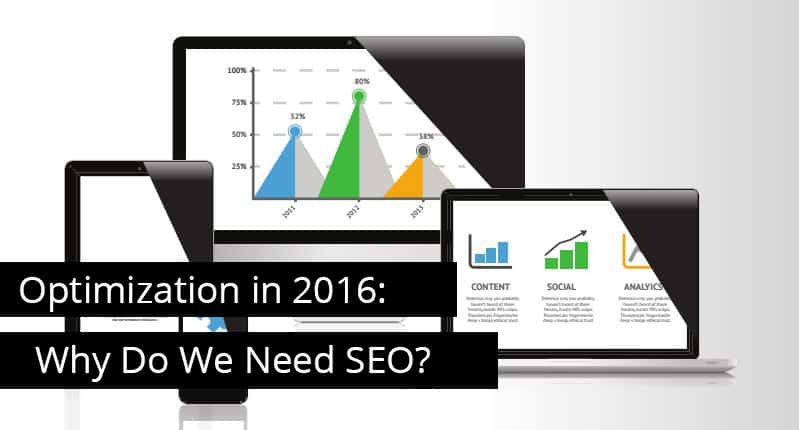 Home/SEO/Optimization in 2016: Why Do We Need SEO? And then there are those that have been around for a long time, yet don’t believe optimization is that big a deal. They do just fine with PPC, thank you, and don’t care to think about any extra expense. This post is for both of you: the new and the “been around the block”. This may be a refresher course for some of you, but bear with me and stick around. There could be a few reminders in here for you. You see, a lot of clients say “optimization,” and they still think “tricking the search engines.” However, a good marketing agency would snub their noses at that. It doesn’t do any good to “trick” the search engines – or if it does, that good is short lived. Think of all the people that lost out with Panda and Penguin. Why? 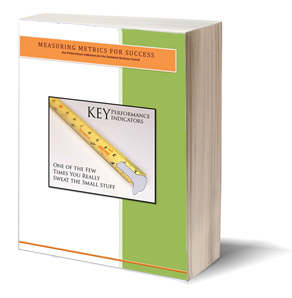 Because they didn’t do their optimization right – it wasn’t the “sticking” kind. It wasn’t the “future-focused” kind. It was the “right now” kind. In short, optimization is the act of making sure that everything you put out is the best it can be. The real aim of the “sticking” kind of SEO is to become the best answer to the visitor’s question. As any SEO will tell you, once your page has been pegged as the “best” answer by Google, it’s hard to convince it otherwise. Now, as to why the search engines? What good does it do? Why bother? I’ll outline a few of the facts here, or you can just skip to the infographic. All stats come from 2015/2016, and are this year where possible. It probably won’t surprise you that Google holds the lead in search engine use, but did you know that comes up to over 100 billion searches per month? The search engine leads in mobile search as well as desktop search. In fact, in more than 10 countries, Google searches took place on mobile devices more often than desktop – that includes in the United States and Japan. And this is where the whole “SEO” answer comes in. People are using their mobile devices more, and guess what the top smart phone operating system is? Google-run Android. As many of you know, the search engine that comes with Android is Google. So, more people are using their mobile devices to search on Google-run phones with a Google search. Don’t you think it’d be a good idea to see what can be done to become visible to all those mobile-searching people? I know I do. And then there’s the business side. According to one survey, 90% of online business-to-business researchers use search to find out more about business purchases. 71% of them start with a generic search. Here’s the real eye-opener. That means 71% of B2B researchers have no brand in mind; they’re looking for products and needs, not specific companies. That also means that you have a shot at filling that need. So how are you going to stand out?